True geraniums – also known as Cranesbills – are perennials. And like all perennials, they die back just before the first frost of fall and enter a dormancy period that usually lasts until the final thaw of spring. Geraniums are hardy plants. But they will always do better if you can help them along. Here are three simple tips to ensure that your geranium roots and bulbs stay healthy this winter. As soon as the geranium foliage turns brown, cut it down to the soil line with either a lawnmower or a sharp pair of scissors. The brown color indicates that the plant is now concentrating all its energy on keeping the roots and bulb alive during the cold days of winter. Put down a 3- to 4-inch layer of mulch over cut geraniums. This will help insulate the roots and bulb when the temperatures dip into the freezing zone and also impede weed growth in the spring. Use pre-made mulch mix, dead leaves, pine needles or straw. Watering geranium roots and bulbs is usually not necessary during the winter. But soaking your plants after mulching is a good idea. During dry winters, soak your geraniums periodically to help keep the bulbs from drying out. As soon as spring returns and you see your plants begin to grow back, feed them 20-20-20 water-soluble fertilizer. The extra nutrients will give them the energy they need to thrive during geranium blooming season, which typically begins in May. South Austin Irrigation provides the best in irrigation system inspection and service that you’ll find anywhere in Austin. There’s nothing like a few potted plants to make your patios, decks and porches come alive. Unfortunately, this type of vegetation is also susceptible to extremes of weather than those planted in the ground. You can protect smaller potted plants by bringing them indoors when the temperatures start to dip. 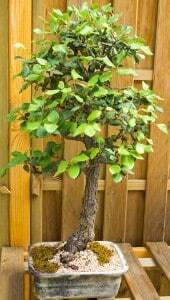 But for potted deciduous trees, you’ll need to winterize them just after the tree has lost most of its leaves. In Austin, this usually happens around the end of November/early December. Tie the branches of your potted tree together gently with some twine or other light but sturdy cord. Water the tree thoroughly and then cover the top of the soil with 2 to 3 inches of mulch, straw or leaves. Take enough chicken wire to build a cylinder around the prepped potted tree. The structure should be tall enough to cover the entire tree without crowding the branches. Secure the cylinder with zip ties or wire. Then stuff the cage from top to bottom with straw or leaves. Wrap the cage with burlap sacking to prevent the stuffing from falling out of the cage. Then secure the burlap to the cage with twine or cord. When finished, cover the top of the cage with a plastic bag. You can unwrap your tree-cage as soon as spring arrives and reuse the mulch/leaves/straw around your garden. Tending trees and plants of any kind is a job that never ends. That’s why South Austin Irrigation is here: to help you maintain your lawn and garden no matter the season. We offer irrigation system inspection and repair services. For the service more Austinites trust, contact us today! It may be cold outside, but it’s not too late to think about ground covers, which are perennial plants, for your landscape. In fact, winter is a great time to begin laying out ground cover. You minimize heat damage to young plants and also allow the ground cover to benefit from winter rains. This shrub-like groundcover type bears thistle-like lavender flowers. 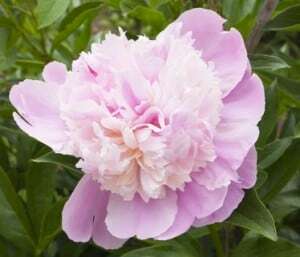 It does best in well-drained soils and partial shade. 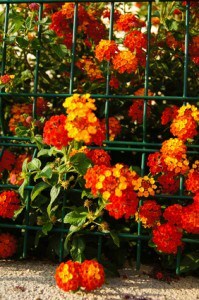 The lantana is another shrub-like plant that has multi-colored flowers – usually, orange, gold, yellow and lavender. It tolerates partial shade but needs sun to thrive. Like the powderpuff mimosa, the dwarf Asiatic jasmine likes well-drained soils. It thrives in full sun but will also tolerate partial shade. The sedum is a succulent that grows in soil and rock and comes in over 600 varieties. 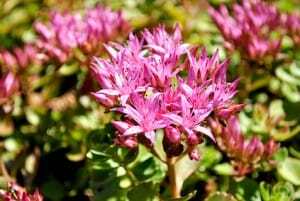 It prefers fertile soil and full sun, but hardier sedum plants will tolerate some shade and less fertile soil. All four of these ground cover types are drought-tolerant and require a minimum of irrigation. After you plant them, put down a two-inch layer of mulch to minimize weed invasion. Use a fertilizer with a 12-4-8 or 16-4-8 nutrient ratio to encourage more rapid growth. When you need irrigation system repair, contact South Austin Irrigation Repair! During the wintertime, lawns typically go dormant or enter a period of extremely slow growth. But that doesn’t mean you should stop caring for your grass. By giving your lawn the attention it needs, you help ensure that it enters the spring growing season in the best possible health. 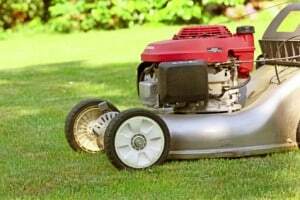 Mow regularly until your lawn appears to stop growing. Remember that long grass blades are more prone to fungal growths that might develop as a result of winter rains. Whether or not you should fertilize depends on the type of grass you have planted. Cold weather grasses benefit from regular feeding. However, warm-season grasses won’t because they don’t put out new growth in winter. In Texas, lawns should ideally get 1 to 2 inches of water per week during the winter. Rainstorms usually take off irrigation needs. When they don’t, then you’ll need to step in. Remember to adhere to the water rationing guidelines established by Austin Water Utility. Weeds grow all year long. Since it’s still early in the season, your lawn may benefit from the application of winter herbicide, which helps weeds from establishing in dormant lawns. You may also consider using pre-emergent to prevent weed seeds from germinating and broadleaf herbicides to kill off any existing broadleaf winter weeds. Your outdoor environment is important to you. South Austin Irrigation takes pride in offering all the services you need, from irrigation sales, service and repair, to expert horticultural advice, to help you make the most of your lawn and garden anytime of year. Contact us today! Using potted plants as part of your landscaping scheme can add beauty to your outdoor environment even in the dead of winter. And the good news is container gardening does not differ significantly from gardening in general. To get started, you’ll need to buy pots that have good drainage and are also frost-proof. Containers made of fiberglass, metal or stone resist low temperatures especially well. The soil should also have good drainage. If you decide to put two or more different plants in a single container, make sure they have similar growing requirements. Be aware that you’ll need to repot your plants every two to three years to ensure they don’t get root-bound. Decorative in appearance, sedium spurium produces scallope-edged reddish-bronze foliage all year long and blooms in the summer. It grows to approximately half a foot in height and thrives in full sun. However, it can also tolerate partial shade. This deciduous plant produces dark red branches and variegated leaves with white margins and gray-green centers. To keep it looking beautiful, be sure to remove old branches after winter has passed. Heucheras are colorful, low-growing plants that produce white, pink and red flowers. Its foliage is shot through with silver veins that run through green or purple leaves. This plant can tolerate full sunlight to full shade. The foliage on this variety of yucca is shaped like a 2-inch wide sword that is dark green with a golden center. The margins of its leaves produce curly fibers. It can grow to between 2 and 3 feet tall and produces a 3 to 6 foot flowering stalk in summer. The golden sword yucca prefers full sunlight but can tolerate some shade. Winter landscaping doesn’t have to be dull.